When 20th Century Fox film chairman Stacey Snider and her fellow Fox executives sat down to watch an early version of Logan, there were apparently huge concerns over just how dark the film ended up being. After all, Fox watched DC tank its own films by hitting the “grim, dark” tone too hard over and over, so the company was understandably worried about an old, grumpy, lonely Wolverine. Snider doesn’t reveal whether or not this internal discussion at 20th Century Fox led to any changes in the theatrical version of Logan, but presumably, the debate didn’t result in any major changes to the film’s dark and moody tone considering the buzz over a gritty Wolverine film. Prior to any official announcement for Logan, many observers guessed that the third solo Wolverine movie would be rated R following the success of Deadpool and its unconventional choice to forgo the PG-13 rating typically expected of big superhero franchises. 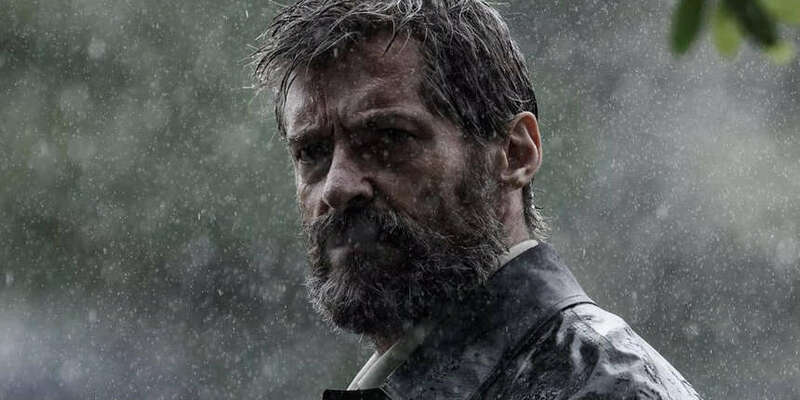 Once announced, however, Logan spared no time establishing its dark and gritty worldview, debuting a surprisingly moody trailer set to Johnny Cash’s cover of “Hurt” back in October. The Red Band version of the trailer even shows off the hero stabbing an enemy through the head. The first trailer was critically praised and immediately generated hype for Logan, which up until then had to deal with the legacy of the lackluster reception to 2009’s Wolverine: Origins and 2013’s slightly better received The Wolverine (also directed by Logan’s James Mangold). Watching the Logan trailers and the extended 40-minute preview screened for critics, it’s interesting to see just how different the third solo Wolverine film compares to its predecessors. While both X-Men Origins and The Wolverine focused solely on Hugh Jackman’s famous mutant character, both of the previous films were geared towards a wider audience and directed with a more “blockbuster” look. Logan, by contrast, had very little marketing aside from mysterious black-and-white photos posted by Mangold on the film’s Instagram account. The “Hurt” trailer, as well as a follow-up trailer aired during this year’s Super Bowl, helped stir up considerable social media buzz for the film, which fans will hopefully see in its full, dark glory when the film premieres in March.